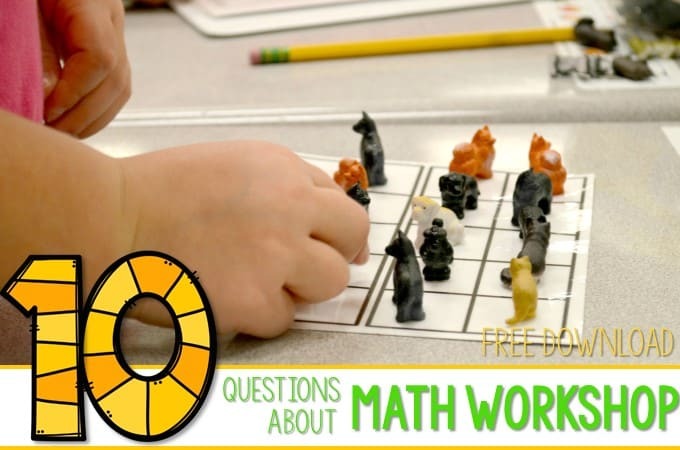 I am going to try to answer some of the questions we have gotten on our Math Workshop units. 1. Do you have a year-long plan created? UPDATE: Yes we do! 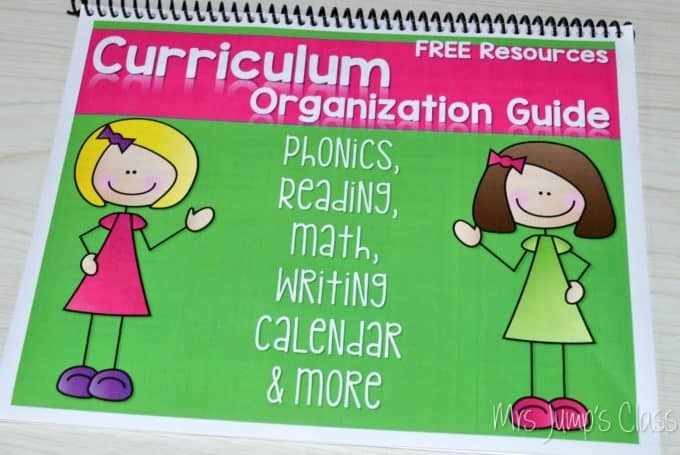 You can see the curriculum guide (with some free resources at the end of this post). 2. 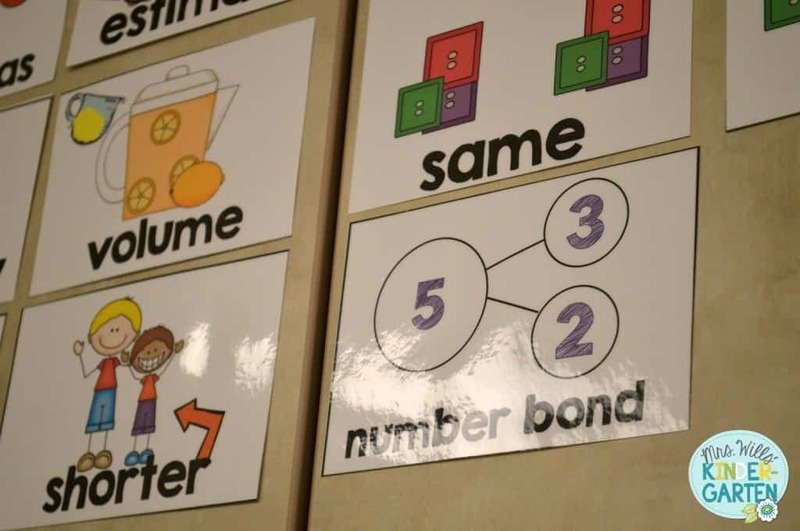 Is it common core aligned? You betcha! If you are not a state that has adopted the CCSS, you can still use these workshops as they represent “best practices” with lots of hands-on learning. 3. 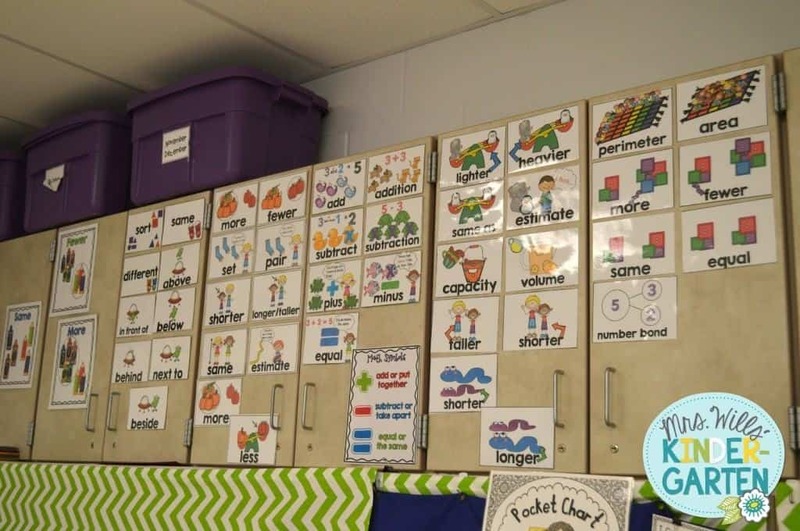 Where do you keep your math word wall? These vocabulary cards are included in the unit. We use them in a pocket chart during the month, then the get retired to the cabinets above my cubbies. We can always take them down again. 4. How do you store your lessons? I keep the anchor charts that I have to still make in the pocket of the binder. 5. 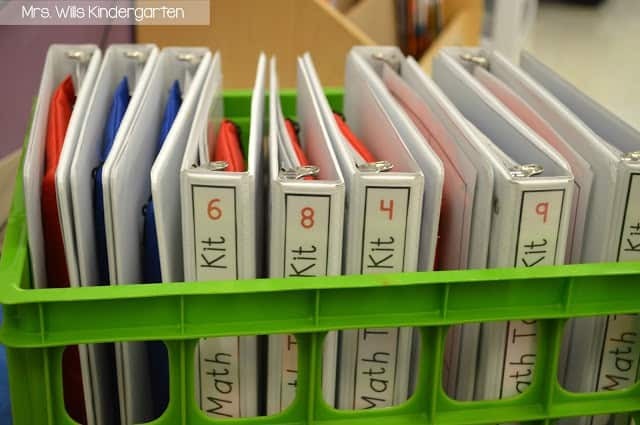 Where do you store your teaching materials? 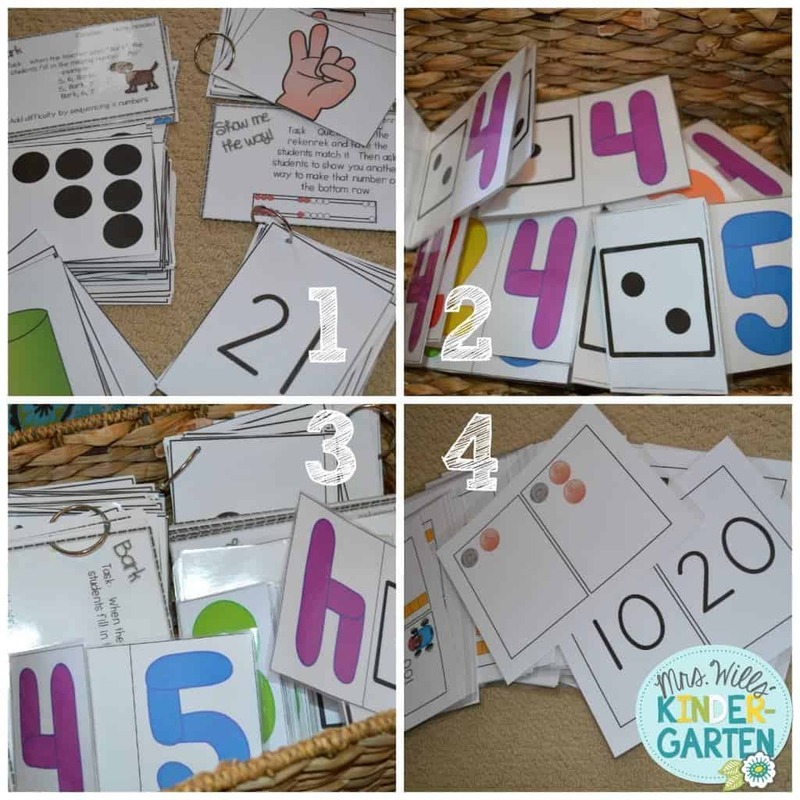 Fluency cards and task cards. My new fluency cards from Unit 7. Printed and laminated, but waiting for the “Cutting Out Fairy” to show up… that would be me! 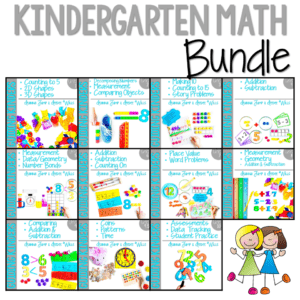 The student work mats and math talk cards go into the math tool kits. 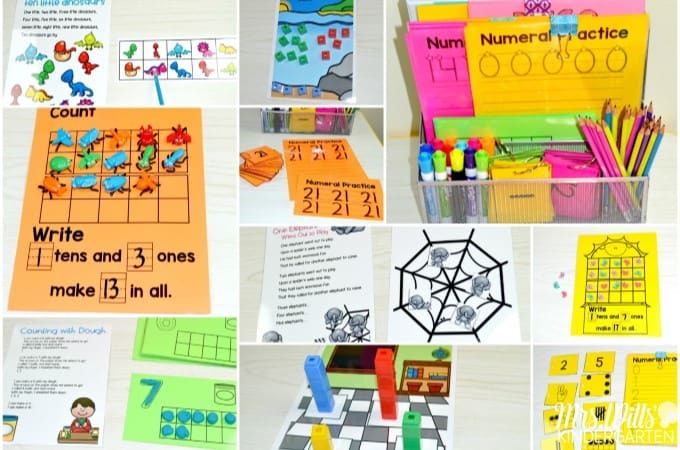 You can read more about these and grab some resources by looking at this recent post HERE. 6. 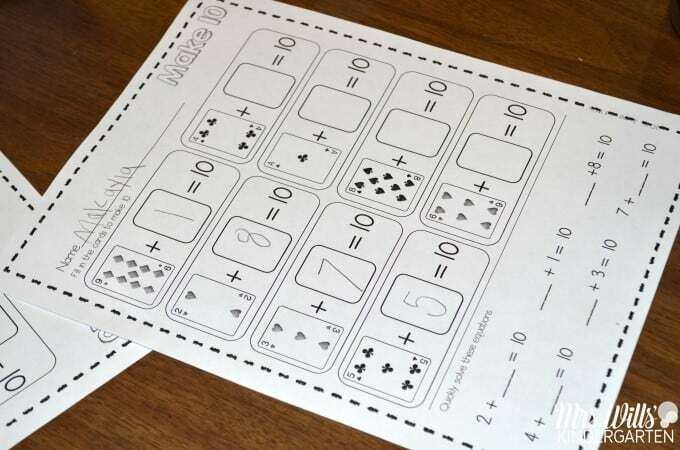 What do you do for small group math instruction? You could reteach the whole group lessons in a small setting or you can use our small group lessons. You can find those units HERE. 7. What do the lessons look like? 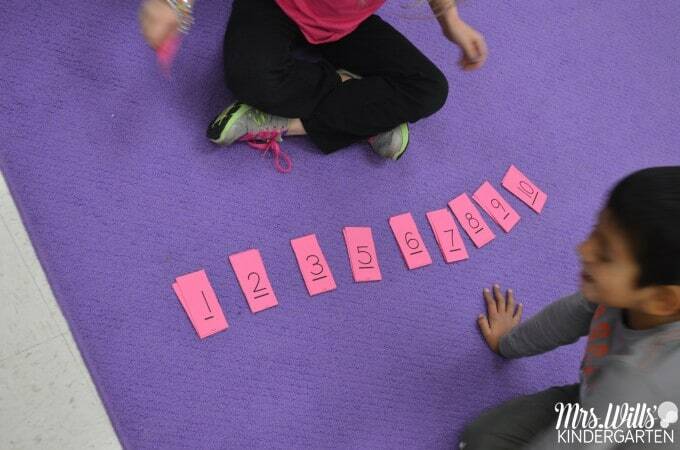 Measurement lesson… photo taken by one of my sweet little kinder friends. He is better with a camera than me. A similar scale can be found HERE. I start each day with fluency practice (quick), then we go into workshop mode. I lead a small lesson and students explore. Ya gotta love how a Jolly Rancher made it into their explore. 8. How many units are there? There are 10! You can see them all HERE. 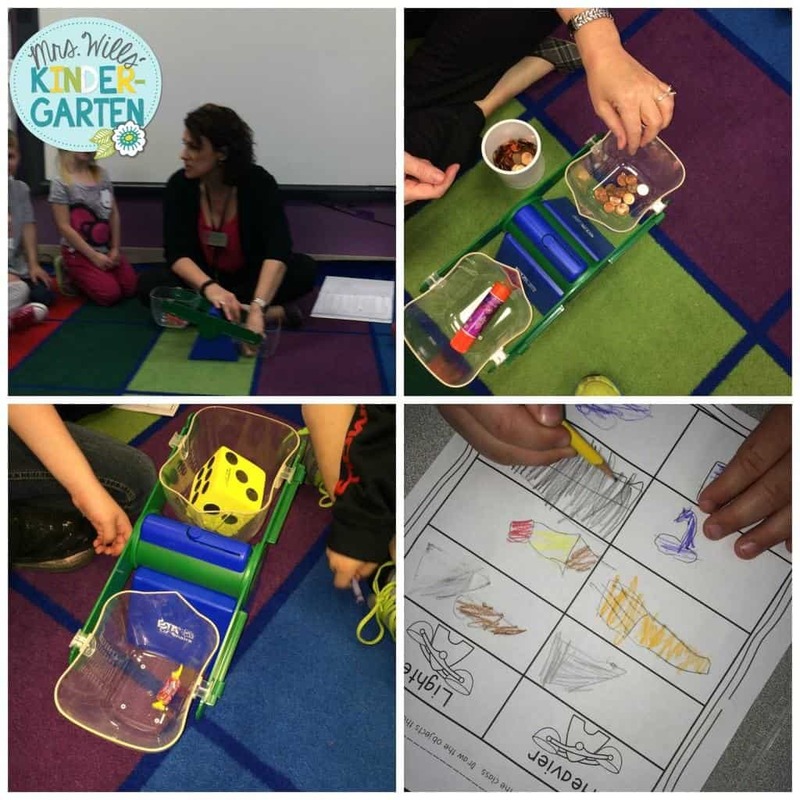 You can see the homework and center activities HERE. 9. 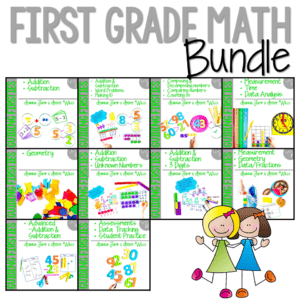 Is there a first-grade unit? You betcha! 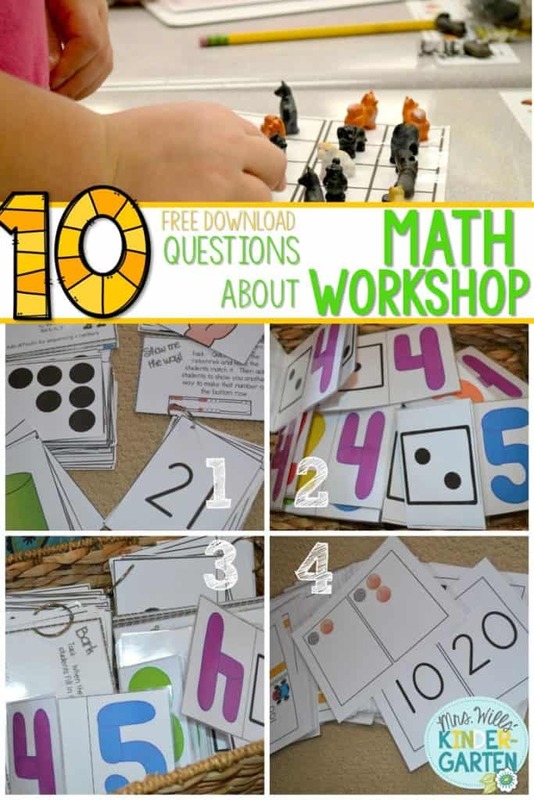 You can see the math workshop HERE. 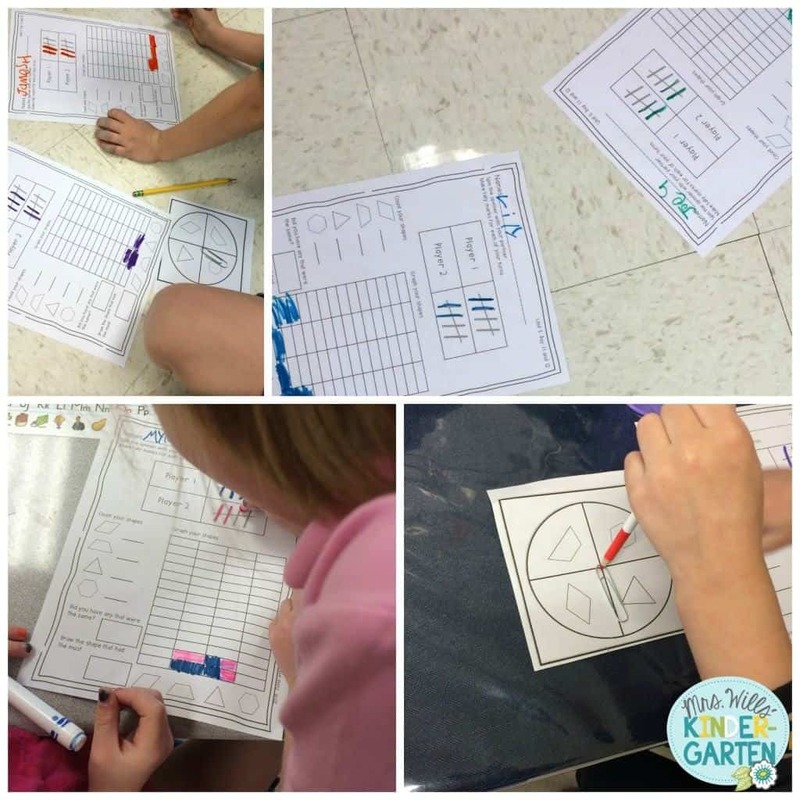 You can see the homework and center activities HERE. 10. Do they need to be taught in order? No, they do not. However, the units do build upon each other. There needs to be an understanding of the prerequisite skills if you decide to skip units. I sure hope that helps answer a few math workshop questions! If I missed a question, please feel free to leave a comment. Previous Post: « Ode to Duct Tape! Getting it Organized! I have bought the units that you have finished so far and LOVE them!! Thank you for all of your hard work. These units are amazing!! Thanks so much for this post! I have all of these units for my classroom and absolutely love them!!! The only thing I'm unsure of is when and where do you use the number lines? I don't see them mentioned in the daily plans anywhere! Thanks! There are ketchup and mustard bottle cut outs in the teacher section of the dollar tree that will be perfect for your partner up idea! What a great post! 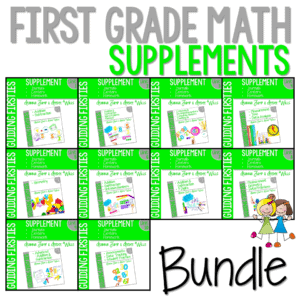 I am so happy you shared how you organize your lessons and materials. As someone new to kindergarten, I am not used to the amount of "stuff" I've accumulated! Thank you! 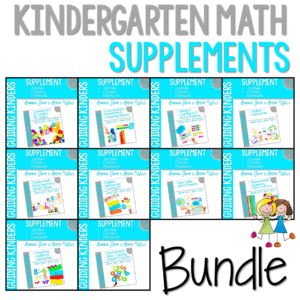 I LOVE these math units! I will definitely need to organize them in binders as you have done. That was a bit of a "DUH" moment for me (they are in file folders right now)! Thank you for putting so much time adn hard work into this! Also, I didn't realize how old and cruddy my balance scales were until I saw yours! I love your math units. 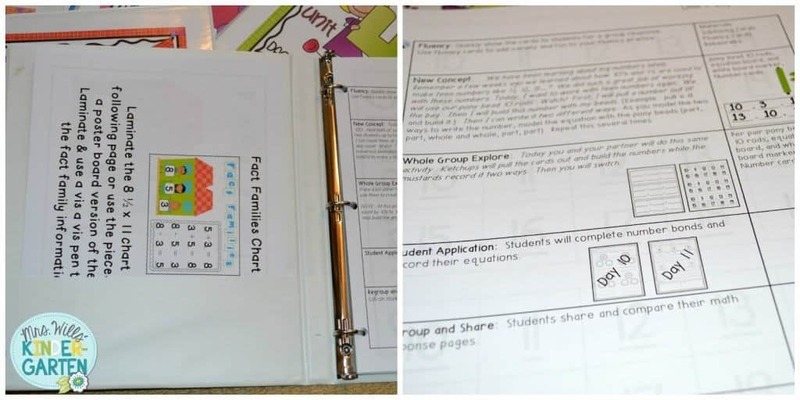 I am in the process of revamping my lesson plan template for small group lesson plan. Do you have a template for planning your small groups that you love? 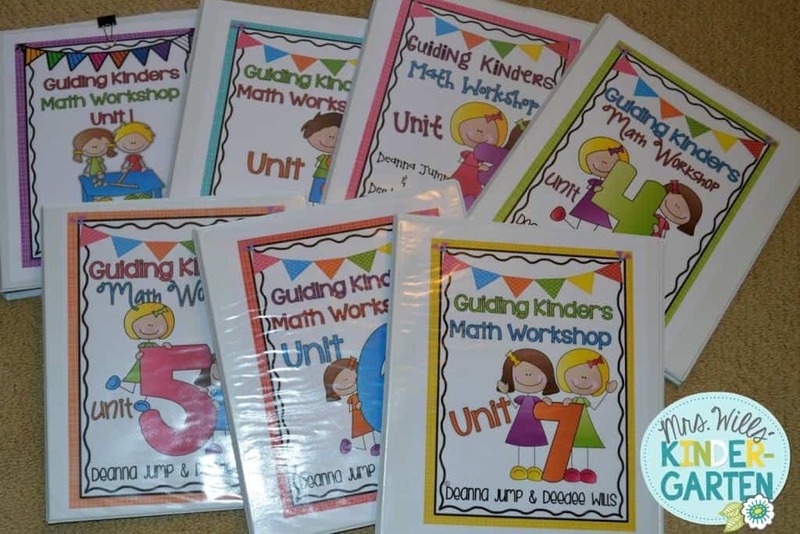 How long after the first day of school do you begin using the Guided Math Workshop with your students? Do you let them get acclimated with school for a few weeks then begin? 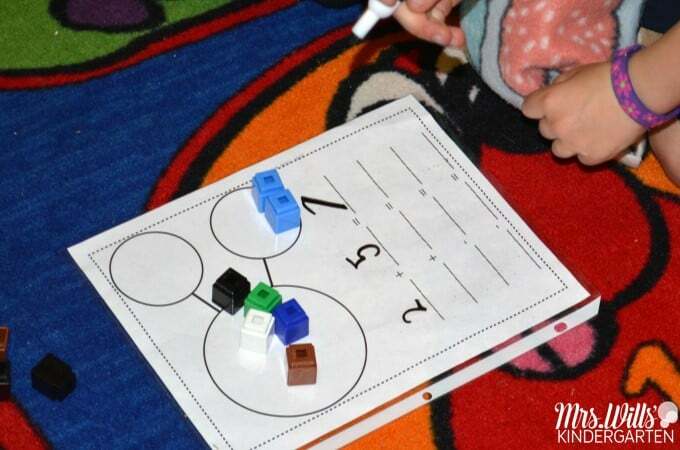 I will start the math workshop on the first week of school. It is designed to ease in for those little guys. I would image my first lesson will happen around day 3 or 4 of school. We spend the first few days of school, just figuring out that I (the teacher) am the boss! Don't they all seem to wander around? I need my rest to gear up for that, but it is a fun ride!